My interest in manuscripts as material objects was sparked when I started my PhD research into the history of Dutch descriptive linguistics. 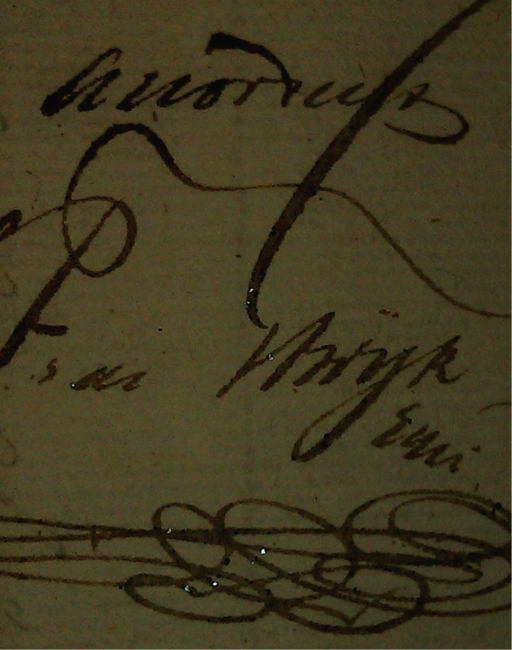 Ultimately, I want to create a virtual digital archive of linguistic documents from the Dutch East India Company (VOC) period (1600-1825). 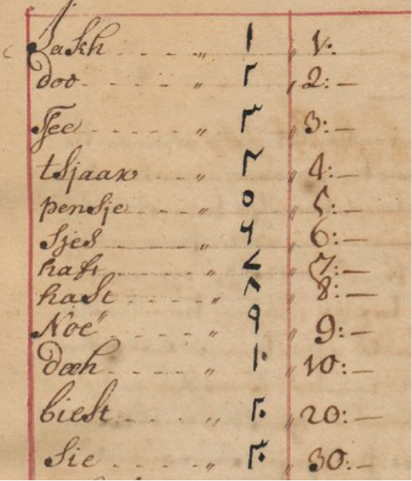 There are many vocabularies, wordlists and grammars of the “exotic” languages that the Dutch encountered in the course of their trade expeditions. However, since the Company had no real policy regarding language documentation, most of the manuscripts are scattered around various libraries and archives all over the world – and largely forgotten. But when, how, and by whom were they created and what were their itineraries? 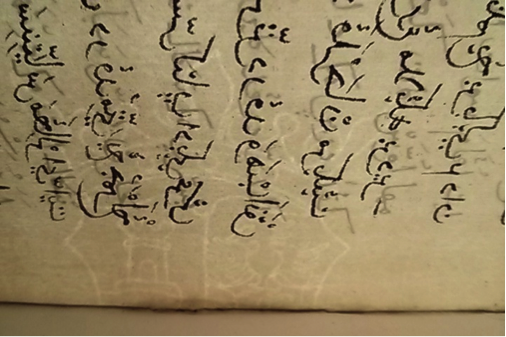 How can we read between the lines of these old texts when the explicit historical information is missing? Can the paper, the ink, or maybe the crease indicating the way the page was folded hold clues to unravelling the story of a particular text-carrying object – the manuscript? “You don’t see what you don’t know”, the saying goes; you won’t be able to recognise the important hints unless you know what you are looking for. I would like to give you a glimpse into the science of codicology, which I wish I was offered when I first held a 17th-century manuscript in my hands. From Middle Ages till the 20th century, the most popular ink in Europe was by far iron-gall ink. It was commonly used for writing and for drawings. Its basic ingredients (tannin from tree galls, sulphuric acid – vitriol, gum arabic and water) were cheap and readily available in Europe. Although in the 17th century there were at least 150 different recipes for ink written down that reached us, the basic ingredients remained the same; what differed was the type of galls used and the method of extracting the gallic acid (fermenting, boiling, etc. ), as well as liquid used (water, rain water, wine, beer). Fresh iron-gall ink has a naturally pale greyish colour, which only turns into deep blue-black through oxidation a couple of seconds after being applied to paper. To facilitate writing, colorants like indigo (blue) or other dyes were sometimes added. It does not easily fade in light; however, over time, it changes colour to brown, and its opacity increases. The iron-gall can be corrosive, and if the chemical reaction is not well balanced and the acid is not neutralised, it can cause bleeding (discoloration of the paper around the ink) or even destruction of paper (ink corrosion). However, thanks to this same characteristic, the ink binds with the paper and, as a result, it is hard to erase and definitely not washable like most carbon-based inks. Asian inks tend to have different composition; Chinese and Indian inks were usually based on soot from burned oil or resin, mixed with gum Arabic and water, and had a darker black colour. The main difference between iron-gall and carbon ink is that the former binds with the paper fibres and is hard to remove, whereas the latter rests on the medium surface and is easy to smudge with water, or even to be removed completely. The appearance itself is not always a sure indicator of the composition of the ink, and special tests are available. In the case of “my” Dutch bilingual vocabularies, there are sometimes parts written in the local script. 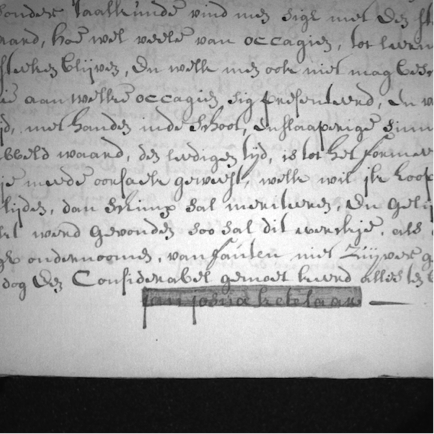 Testing whether the ink used in them is the same or different from the one used in the Dutch part can give us clues whether the author worked with an informant, or whether he himself learned to write in the script. 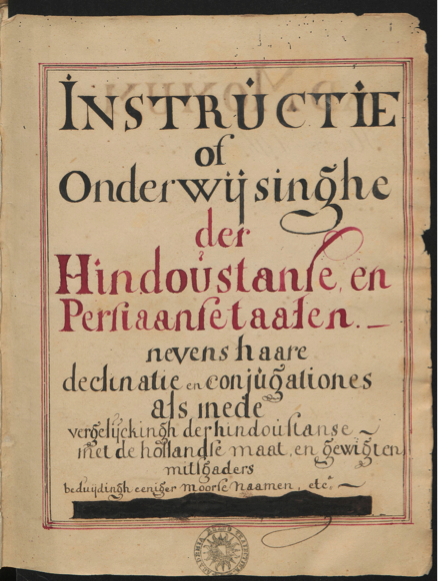 A detail from the list of numerals (Ketelaar’s Hindustani grammar). The Hindustani numbers are written in a different ink, most likely using a different tool. Because of their varying chemical composition, different inks reflect light differently. If we scan them with a hyperspectral scanner through the whole spectrum, including beyond visible light (from ultraviolet to infrared), we obtain a particular spectral profile for every ink. 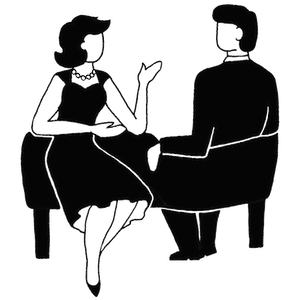 This can be used in forensic examination of crossed out words, or to reveal an illegible or deleted text. Although the most spectacular results were obtained by large projects like the Archimedes palimpsest, even in my modest study, the hyperspectral test proved very useful as a way of revealing the authorship of one of the copies of Ketelaar’s grammar of Hindustani. The title page of the Instructie with a section inked out (Utrecht University Library, Ms. 1478). It is possible to analyse the type and origin of the ink and to decide, for example, whether a certain document was written in Asia or Europe. Most of the VOC documents are written on paper. Obvious as it may now seem, this was not always the case in 17th century Europe; some more important documents were drafted on parchment as late as the 19th century (notably, the Declaration of Independence and five pages of the US constitution are written on parchment). 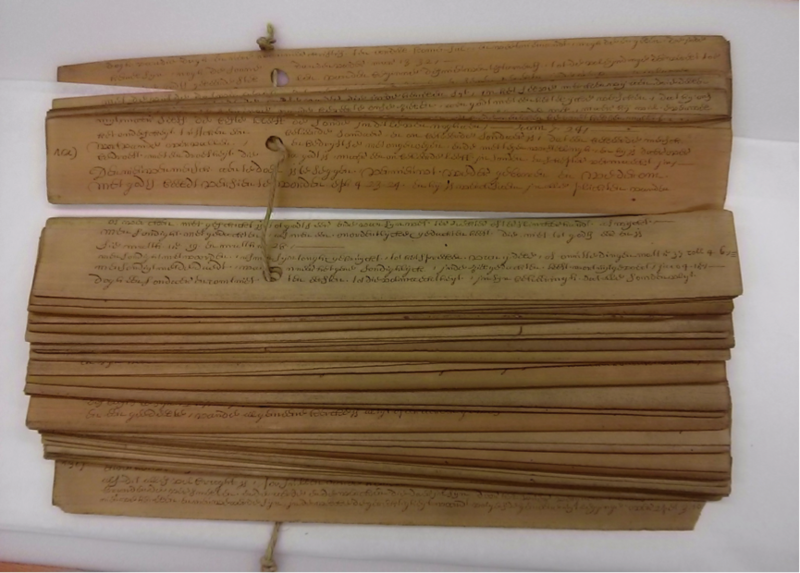 Occasionally, other writing support materials, such as rice paper, birch bark and even palm leaves, were used, especially by the colonial and missionary workers in Asia. Palm leaves were incised with a stylus, and then rubbed in with a mixture of soot or berry juice and oil. The structure of a leaf allowed for incising round letters of alphabets like Sinhala or Tamil, but was not suitable for Latin alphabet with its straight lines, which tend to split the leaf along the veins. This can be noticed in a few places in the only palm-leaf manuscript written in a European language I have found so far (Tropenmuseum, lontarblad A-2646); we have to admire the skill of the author, who, writing the text entirely in Dutch, managed to shape the letters into a near-perfect roundness. The paper can reveal a lot of clues for dating manuscripts, and can also help identify their place of origin. In the period relevant for my study (1600-1825), a significant change took place. In 1680, the Hollander beater was invented, a machine that revolutionised paper production in Europe. With its metal blades chopping cellulose-rich plant fibres, a Hollander was able to produce eight times as much pulp in a day compared to the traditional methods. However, this efficiency came at a price: pulp produced by Hollander had much shorter fibres than that from traditional stamp mills, in which the pulp was pounded rather than chopped, which resulted in weaker paper. Another side effect was the introduction of tiny bits of metal contaminants from the blades into the paper, which have been implicated in foxing (rusty-brown spots on paper). Nowadays, confocal microscopy is used to specify and measure fibre properties as well as paper surface characteristics such as roughness or porosity. 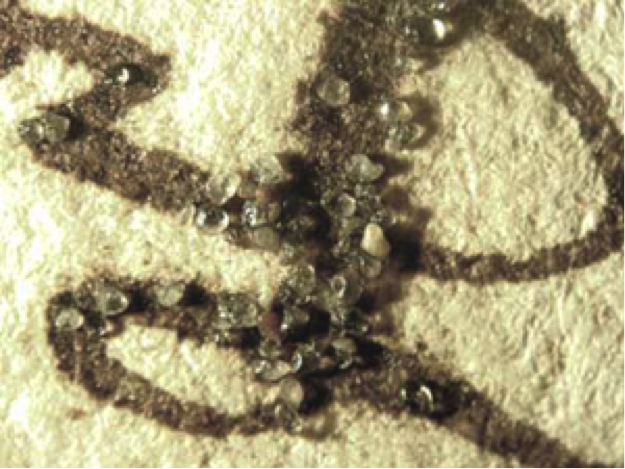 Another valuable clue for paper identification comes from the watermarks, a lower-density pattern or design visible when holding a sheet of paper up against the light. 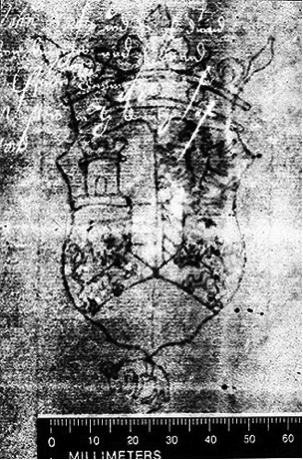 Watermarks can be traced back to 13th-century Italy and were used primarily, but not exclusively, as a papermaker’s trademark. The simplest and most common watermarks were made using a wire design attached to the paper mould screen. More sophisticated ‘light and shade’ watermarks, using a different method – a relief sculpture pressed into the paper mould – resulting in various degrees of thickness in the image, were developed in the 19th century in England. To have a full paper characteristic, we also need to look for countermarks (a smaller mark, often with papermaker’s initials, usually placed on the sieve opposite the main filigree). There are many famous catalogues of watermarks, such as Heawood, Churchill, or the Briquet, some of which are digitised and available online. For the search function, they use fairly complicated motif classification, which is not always obvious (for instance, in the example below one has to decide whether ‘the Golden Fleece’ is an animal or a ‘fantastic creature’). 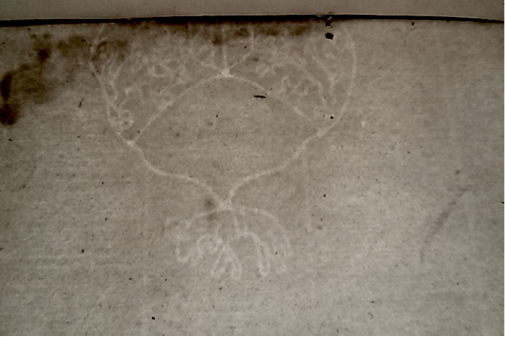 Two parts of a watermark from Erpenius’ “Manuscripti Indici” from the collections of the Cambridge University library (inv. no. Gg. 6.40). 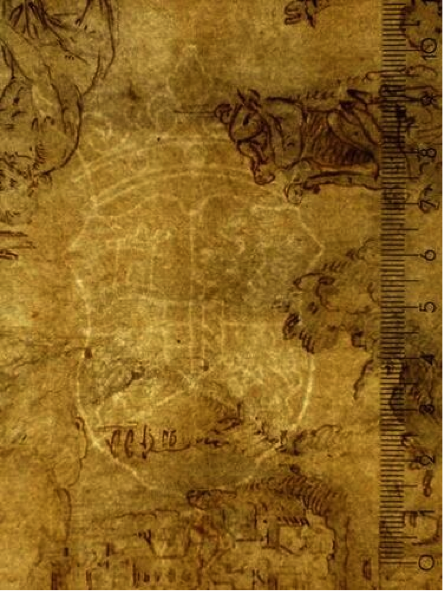 We can see a crowned coat of arms with a tower, an eagle and two rampant lions, and the Golden Fleece underneath. This motif is described in Gravell as “Arms – lions; tower; crown; eagle; Arms of Burgundy and Austria with Golden Fleece”. (source: Thomas L. Gravell Watermark Archive, Delaware, USA ) Note the difference in detail between different methods of making the image. As it turns out, the same paper has been used by an anonymous artist (possibly Cornelis Cornelisz Van Haarlem) for a drawing representing the Baptism of Christ (inv. no. MB1705-PK). A very similar watermark (Heawood 481) was used in Theatrum Artis Scribendi by Jodocus Hondius, published in Amsterdam in 1594. 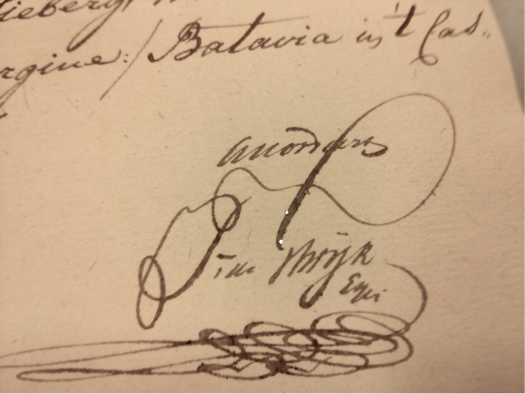 This information could help us establish the paper supplier for Erpenius manuscripts, as well as pinpoint the possible location where the manuscript was written, at the time when most paper in Holland was still imported from France, Switzerland and Germany. Because paper moulds would deteriorate over time, their life span would be relatively short, with a maximum of a couple of years. 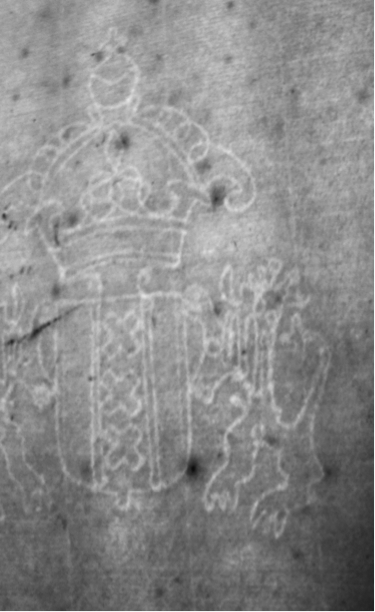 The technology in the 17th and 18th centuries was still not good enough for replication of identical watermarks, and therefore watermarks are reliable indices for dating. 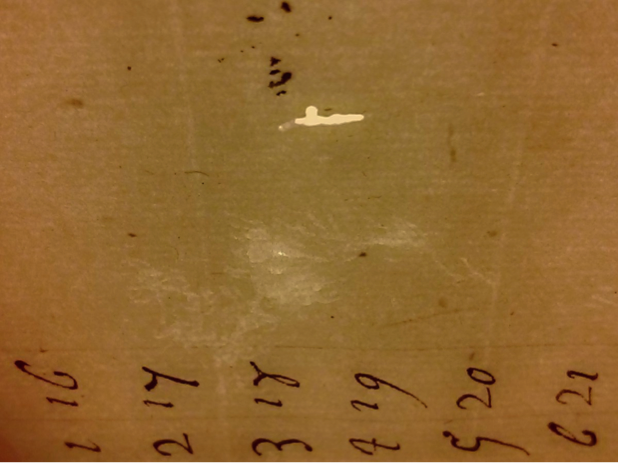 Also, within one batch of paper, the aging watermarks may have visible traces of wear and tear that can also help determine the date. ‘Spot the difference’: the watermark of Amsterdam found on Ketelaar’s Instructie (Utrecht MS) and its closest equivalent from the catalogue. The letters WHG are the countermark. But in order to be able to see these subtle differences, we need to have a good quality image of the original watermark. The earliest method of simply drawing the shape gives us some general information about the symbols or letters in it, yet it is still not enough to be sure whether a certain detail or distance indeed constitutes a different watermark, or whether it is a mere slip of the hand. A better method is rubbings, where a pencil over thin paper is used to extract the image. It is important to include a reference such as a ruler with measurements. Nowadays, photography of a backlit page is probably most commonly used (some libraries offer a fiberoptic light sheet). For bigger projects, x-ray techniques may work better, bringing a clear image of only the watermark without the confusing writing on the surface of the paper. Interestingly, from early times, watermarks were subject to counterfeiting, which has to be taken into account when analysing the pattern. The imitations are often of a lower quality, with less details and clumsier design. 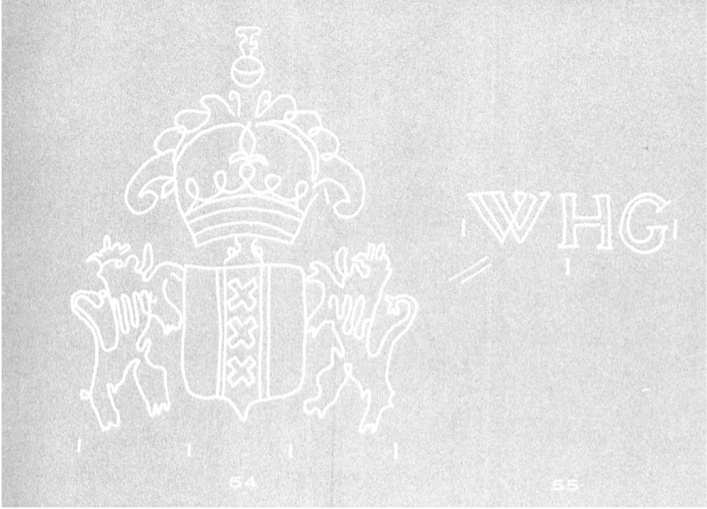 Some watermarks acquired a life of their own; the letters LVG, which originally indicated Lubertus van Gerrevinck of the Phoenix Mill at Egmond aan den Hoef in Holland, were soon appropriated by other paper makers in Western Europe as a mark of quality, and become one of the most common watermarks. I would like to thank my inspiring teachers from Medieval and Modern Manuscript Studies in the Digital Age (MMSDA 2014), a course funded by the DiXiT ITN run in collaboration with the Institute of English Studies (London), King’s College London, the University of Cambridge, and the Warburg Institute. 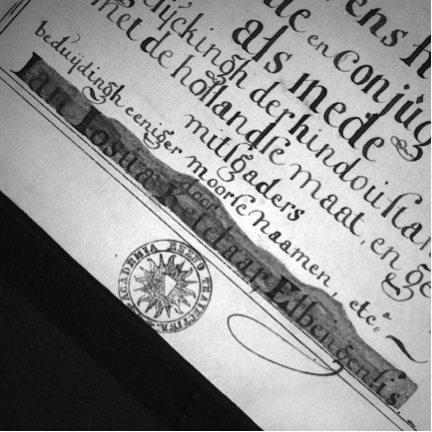 In April 2011, by courtesy of Dr. Bart Jaski of the Utrecht University Library, the manuscript was transported to the Restoration Lab of Nationaal Archief in The Hague and examined with the Hyperspectral Imager by Roberto Padoan. This test was made possible by Gerrit de Bruin, Head of Conservation at Nationaal Archief. 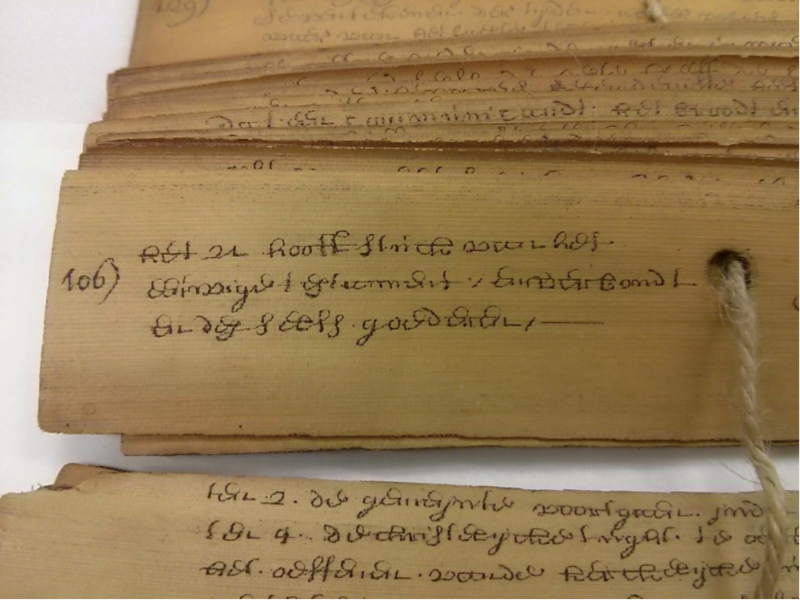 There is also a similar manuscript among the palm leaf manuscripts with Sinhala texts in the British Library collection (Sloane 3417). Dating back to early 18th century, it contains the Sinhala alphabet with notes on pronunciation in English together with the Lord’s Prayer in Sinhala and Roman letters and a literal translation. However, the English text is written on European paper cut to the size of a palm leaf and bound together with the real palm leaves. According to Wikipedia, the Indonesian word ‘lontar’ was a misspelling of Old Javanese ‘rontal’, composed of two Old Javanese words: ‘ron’ (leaf) and ‘tal’ (tal tree). In Dutch library catalogues, the term lontarblad is used interchangeably with palmblad. Brief information on the content – they are purely theological texts – can be found in H. Kern Bijdragen tot de taal-, land- en volkenkunde van Nederlandsch-Indië: Volume 46 – January 1, 1896. 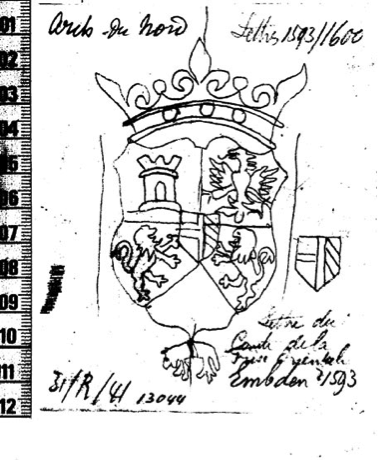 M. Nijhoff – Publisher, pp.147-148 “Een Hollandsch Geschrift op Palmblad”. The development of watermarks “from simple lines to shaded artworks” is presented in a comprehensive guide to watermarks by the historian and genealogist Larry D. Smith. Fantastic post! Very comprehensive intro into the depth of information we can get from the pages of a manuscript. The different types of page material and inks are something we really have to consider – the western tradition is over taught, and must be challenged. Thank you for your comment! You’re right that the Western tradition is what we – non-specialists – usually focus on, but it’s mostly because of the language and script barrier. That’s precisely why the “border” documents like the ones from the VOC, bridging the two worlds, are particularly interesting, and can give us a glimpse into the immensely rich universe of other codicological traditions. Hi Silvio! Better late than never 😉 And thanks for your comment. Isn’t it interesting how we need a perspective to fully appreciate what we have? Obviously, VOC couldn’t see the value of language documentation at the time — all the more reason for us to make this virtual archive happen. What an interesting article! The idea of analysing the sand in the ink is great and makes you the Indiana Jones of philology. All the best! Hi Cefas, thank you for your kind words! With some of the tests, I’m merely reporting on what other people are already doing, but yes — original manuscripts are truly fascinating objects of study, especially with the development of technologies that offer us new tools and new possibilities every day.